We’ve mentioned before that with underinflated tyres your car use up to 4 percent more petrol. They are also less safe to drive on. But here’s a factoid from a report in the Sunday Independent that you may find interesting if you’re driving from the Highveld to the coast this Easter. Apparently tyres slowly deflate as you travel towards the coast because of the denser air pressure at the coast. So if you’re going to be driving to Durbs, keep an eye on your tyre pressure. Phillip Hull of the Road Safety Foundation was reported as saying that 19 percent of cars randomly tested in Gauteng recently were riding on one or more tyres pumped to less than 1,8 bar. Four percent had tyres that were dangerously deflated at levels below 1,5 bar. “The scariest part is that … many drivers still consider a kick against the tyre a sufficient safety check,” Hull said. 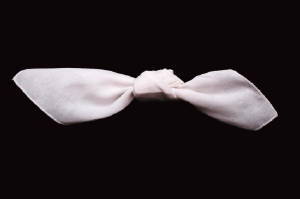 When I was a child, the standard birthday gift for fathers was socks or cotton handkerchiefs. Adult men could be relied upon to have one on hand in an emergency. But nowadays everybody seems to carry tissues, which are more convenient when you have a cold, but you can’t embroider your initials on them or scent them with lavendar to sniff delicately when you have a headache now, can you? So save a few trees and avoid unnecessary packaging by replacing packets of disposal tissues with some cotton handkerchiefs. A useful resource for people who want to learn more about their household energy usage and how to choose the most energy efficient appliances is a British website call Sust-it. It provides consumer information on the energy efficiency of a long list of products ranging from washing machines to PCs to air-conditioners to LCD and plasma screens. It ranks products according to their energy efficiency and lists the power they use in watts and the amount of carbon dioxide produced in kg per year. The aim of the site is: “to make us all more energy efficient by providing consumer information on the most energy efficient products on the market”. When Treevolution first read that Eskom and the department of minerals and energy were preparing to send “power police” into the suburbs to gather information about power wasters and to ask residents to report on people who wasted electricity, we thought it was a joke. But IOL did indeed report that on Friday Eskom had “urged all residents to call their regional offices with information about people who ‘abuse’ electricity in their homes”. It doesn’t actually specify what would constitute power abuse, which is a bit disconcerting. Nor does it say what punishment is likely to be meted out to those caught being wasteful. But one would assume that as long as you’re not running a Laundromat from your back room, or you haven’t got spotlights lighting up every corner of your garden, you’ll be okay. Although you’d better make friends with your neighbours just to be on the safe side. 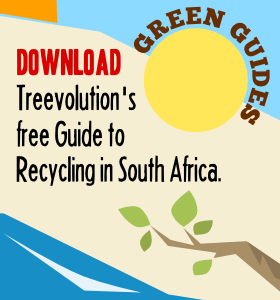 The energy saved by a year’s worth of paper recycling in South Africa is enough to provide electricity to 512 homes for a year, according to the Paper Recycling Association of South Africa (Prasa). Not only is 40 percent less energy required to manufacture recycled paper, water consumption is halved and waste water is reduced by 35%. Every metric ton of recycled paper saves 17 trees and 3 square metres of landfill space. Recycled fibre reduces air emissions in papermaking by 70 percent. Carbon dioxide emissions are cut by 2.8 tons and sulphur dioxide by 10kg. It really is a waste to throw kitchen leftovers into the dustbin when, with the help of a few worms, it could so easily be converted into nutritious organic fertiliser. And, before you turn your nose up at the thought of keeping a bucketful of little wrigglies as pets, consider this: Cape Town’s famous, five-star Mount Nelson Hotel has a wormery and it’s causing such excitement that it’s even been on TV. A wormery is ideal for people who don’t have space to make a compost heap and it doesn’t appear to be that complicated to set up and maintain one. Wizzard Worms, based in KwaZulu-Natal, offers to deliver just the worms (by courier – who’d have thought?) or they can deliver a complete wormery (they cost just under R600, including delivery); plus the organisation offers ongoing support and information. If you want to know more, Wizzard Worms’ website has tons of information on how a domestic wormery works and how to set one up yourself. If you use 60-Watt incandescent bulbs and burn them for 3 hours a day using electricity that costs an average of 35c/kWh, then each bulb will cost you R1.89 a month. 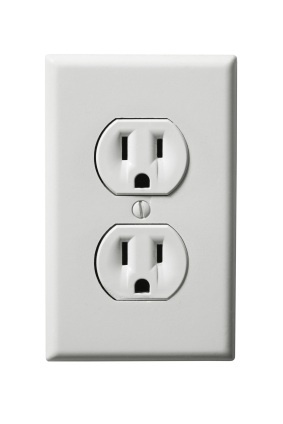 If you use 11-Watt CFLs, each bulb will cost 35 cents a month in electricity. By changing to CFLs, over the course of a month youâ€™ll save 49 Watts of electricity and R1.54 in costs. In a year the savings will total R18.48. From April the price of electricity will increase by 14.2 percent, this means your annual savings per CFL could increase to about R21. Say you have an average of 10 lightbulbs switched on every night, your savings could amount to around R200 a year. So, even though CFLs are more expensive than conventional light bulbs, chances are you’ll recoup the extra cost in less than a year. In addition, the life expectancy of a CFL is six times that of an incandescent bulb – 6,000 hours versus 1,000 hours. 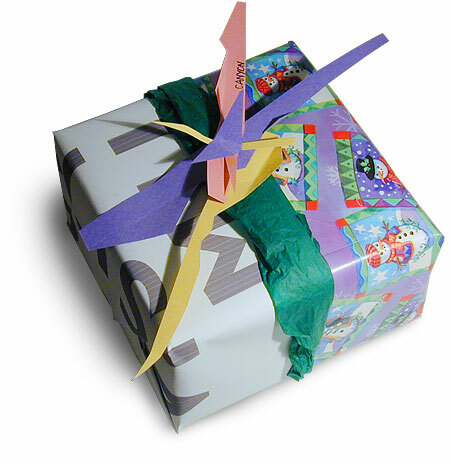 Before you go out and spend vast amounts of money on reams of wrapping paper decorated with the same-old Santas or snowmen that appear every year, take a look at Wrap Art. This site is full of illustrated ideas on how to wrap your gifts creatively using bits and pieces that you’ve got lying around the house. Your friends and family will be astonished at your creativity and your Christmas will be that little bit greener. Recycle. You’ll save 1 100 kgs of carbon dioxide per year by recycling just half of your household waste. Every bit counts. Donâ€™t throw away glass containers such as bottles and jars. Glass is not biodegradable, but it is 100-percent recyclable. The energy saving from recycling one bottle will power a 100 watt light bulb for almost an hour, a washing machine for 10 minutes, a TV for 20 minutes or a computer for 25 minutes.